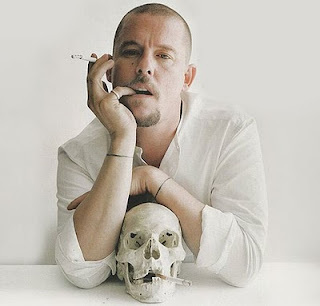 Alexander McQueen was an artist first and foremost, a true visionary whose rise to fame has been widely chronicled. After completing his MA in Fashion at Central Saint Martins College of Art and Design, he became head designer at Givenchy and then joined the Gucci Group. It was with this backing that his own brand was born. Susanah Frankel writes that; In our dreams, flight represents release and freedom. It also evokes angels, at once mischievous, manipulative and dangerous; noble, just and true. To all who knew him, Alexander McQueen was a more down-to-earth creature than that. But his imagination-dark and light, deeply troubled and profoundly optimistic-soared to brave and beautiful heights. Alexander had a very particular way of designing. His pieces were always cut precisely depending on what areas of the silhouette McQueen wished to draw attention to. He envisioned a woman who was tough wearing his clothes, and she would wear them like an armour. My favourite McQueen piece is the dress (pictured above) from the Sarabande collection of SS07. 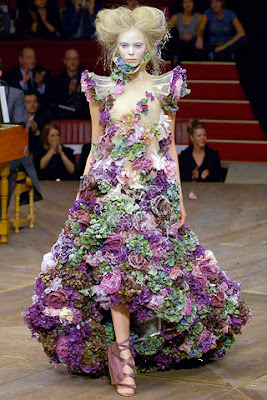 It was made from silk and combined both silk and fresh flowers. There is something so beautiful about this dress. It's almost like it has been uplifted straight from a fairy's closet. I also love the Armadillo boots from SS10. 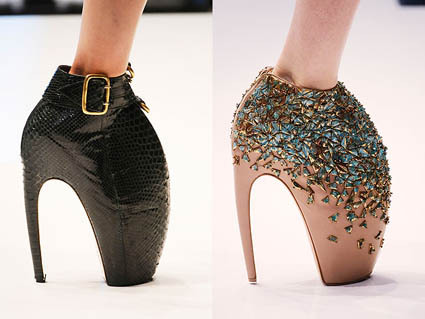 I remember the first time I saw Lady Gaga wearing these in her Bad Romance video. I kept rewinding back to this section so I could get a closer look at the shoes. They are so unlike anything else. "You've got to know the rules to break them. That's what I'm here for, to demolish the rules but keep the tradition." 1) Portrait of Alexander McQueen from here. 2) Dress from SS07 via Style.com. 3) Armadillo Shoes from here.